Lettuce delve into the wonderful world of vegetarian food on campus! Olive these radishing meals are sure to beet your hunger pains and squash your bad mood. If you carrot all for what I’m dishing out, peas continue reading! Phew! Okay, now that I have reached my self-imposed pun quota for the day, let’s begin! There are two Veda locations on campus; there’s one in the Multifaith Centre and one in Sandford Fleming. This is by far one of my favourite places to grab a bite between classes. They’re dedicated to serving healthy and delicious Indian food. All of their curries are nut-free and gluten-free, and they have a good variety of vegetarian and vegan options. Last time I went, I had a small curry bowl combo, which costs $10.25. 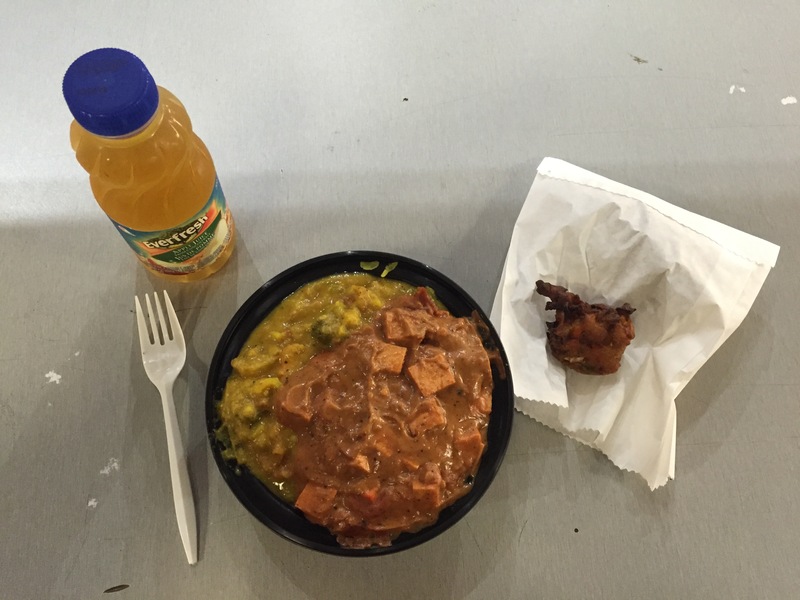 I got to choose two curries and one type of rice, I got three pakoras on the side, and I got an apple juice. The portions are huge—definitely enough to take some home and eat later—and I really love the taste. They’re one of the only places in the city that I know of that serves butter tofu, which is SO DELICIOUS! This adorable gem is located in the basement of Gerstein. It gets quite crowded at peak times, but it is definitely worth it. They have a great variety of all-vegetarian fare, and lots of vegan options too. Last time I went, I got a delicious veggie lasagna. 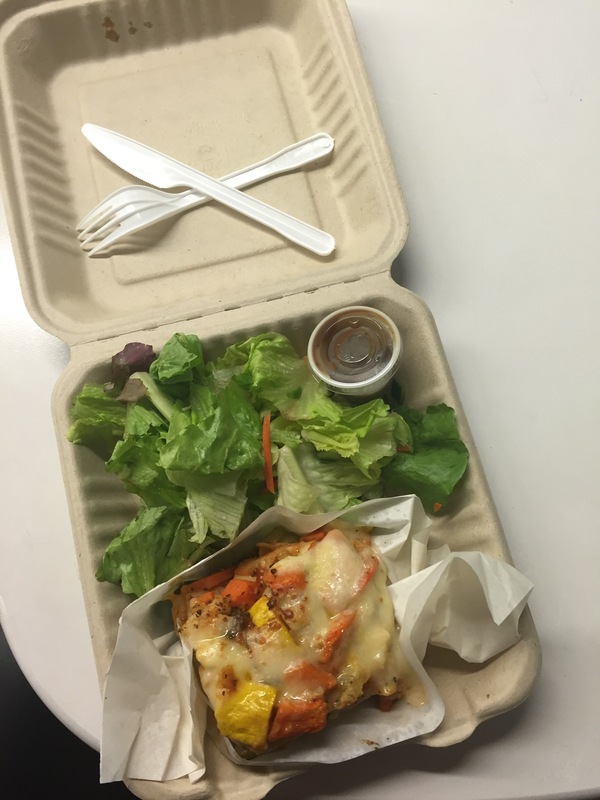 It was creamy and cheesy and just generally yummy and it came with a side salad tossed in sweet balsamic vinaigrette. My meal cost $6.66. Located in Morrison Hall at UC, this place is convenient and centrally located. They have coffee and pastries and a small counter for hot foods. 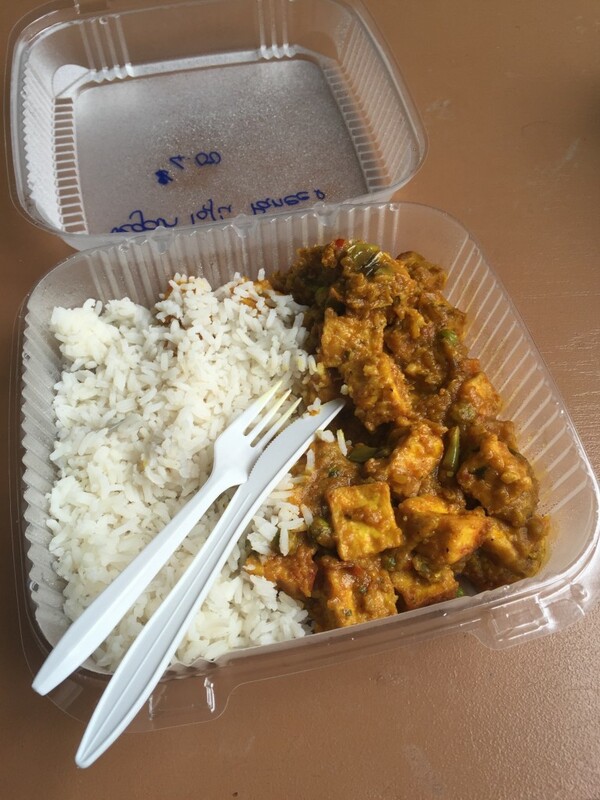 Last time I went, I managed to snag some yummy vegan tofu paneer at a discounted price because it was left over after the lunch rush. It was probably enough food for three Emma-sized people because they gave me all that was left, and it only cost me $4.19! Now, I’m not sure if this happens often or not, but thank you Rezzies! Is it just me or do Rotman students get all the good stuff? Located in the Rotman Building across from Robarts on St. George, this place is a gem! They have a rotating menu, but there are also some vegetarian fixtures, like the portobello mushroom sandwich, veggie pad thai, and vegetarian stir fry chow mein. When I went, I had the rosé pasta special with mushrooms for just over $7.00. They gave me a buzzer so that I would know when my food was ready. I thoroughly enjoyed it and the portion was very generous; there was enough for me to take some home. Also, be sure to try their thyme-seasoned French fries with lemon mayo, too good! I adore Sammy’s! This spot at Hart House is super popular, for good reason. They have a wide selection of pastries, deli options, and several coffee blends to choose from. 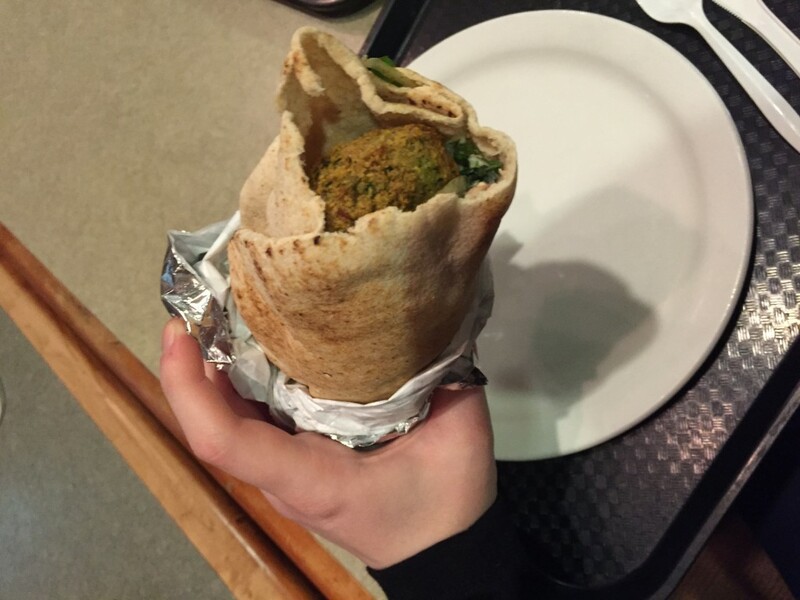 They do several different vegetarian wraps and sandwiches and they occasionally have vegetarian curry as a special, but my go-to is the falafel wrap. It costs $7.90 and it is oh-so-good. Falafel and hummus: a match made in heaven. 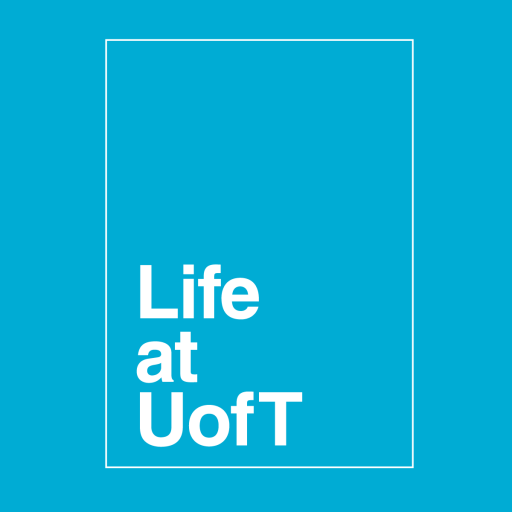 Whether you’re just looking for a Meatless Monday fix, or you live the full-time vegetarian life like me, U of T has lots to offer! 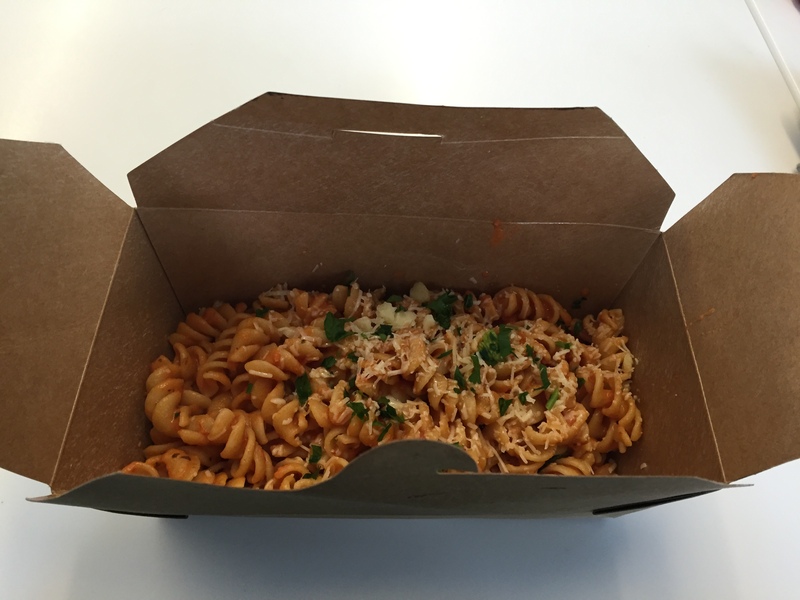 Be sure to also check out Hart House’s 5 Buck Lunch, on selected Wednesdays in the Great Hall, UTSU’s vegan breakfast program, and the Good Food Box, which my fellow blogger Nancy raves about. Did I miss your favourite spot for a veggie fix on campus? Let me know in the comments below!